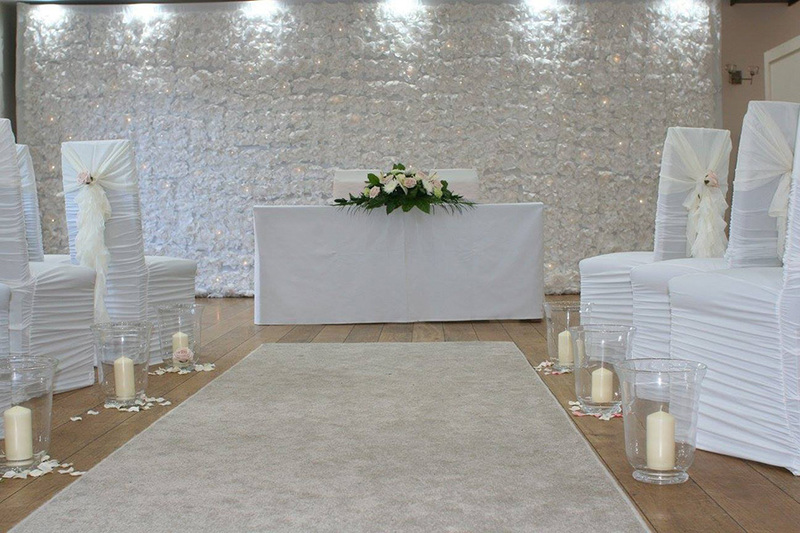 This exciting Backdrop is a key trend for 2017/18, inspired by celebrity weddings such as Kim Kardashian’s. 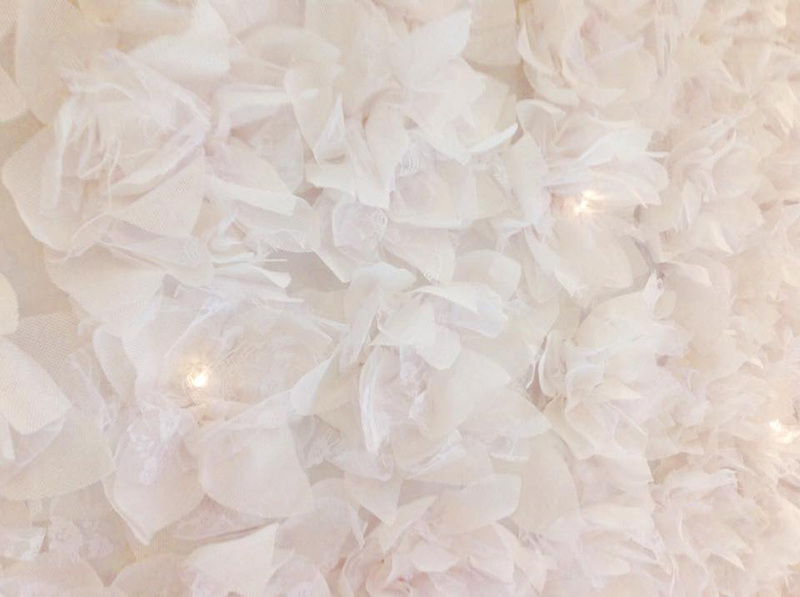 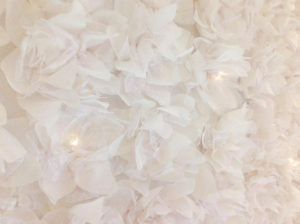 The Starlit Flower Wall Backdrop is 6m x 3m and each flower is hand-made chiffon and lace fabric. 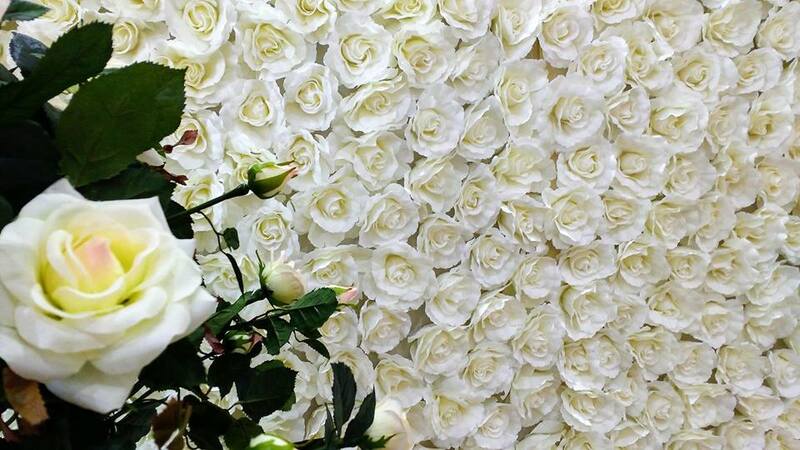 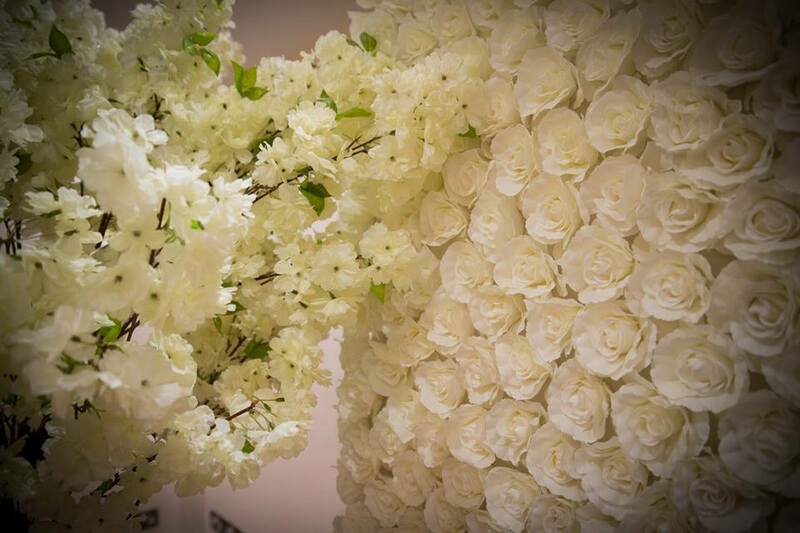 We also hire a 3m x 3m Ivory Rose Wall this is great for smaller top tables or a makes a quirky photo booth backdrop. 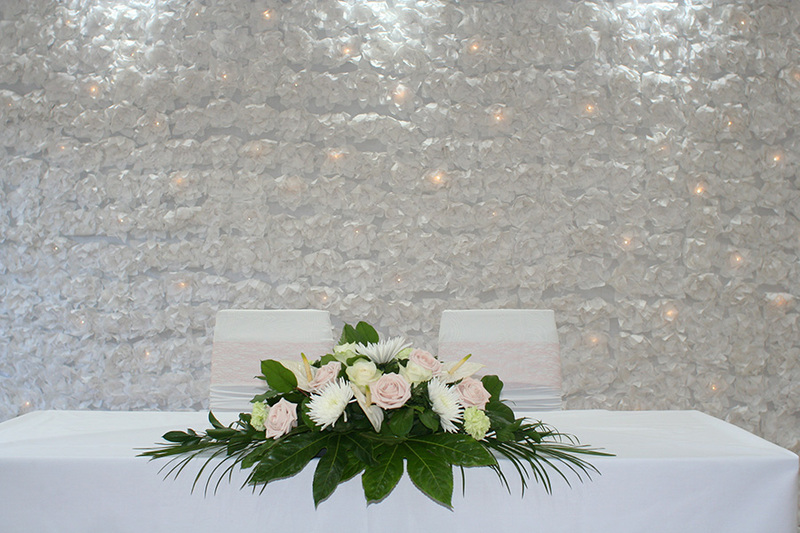 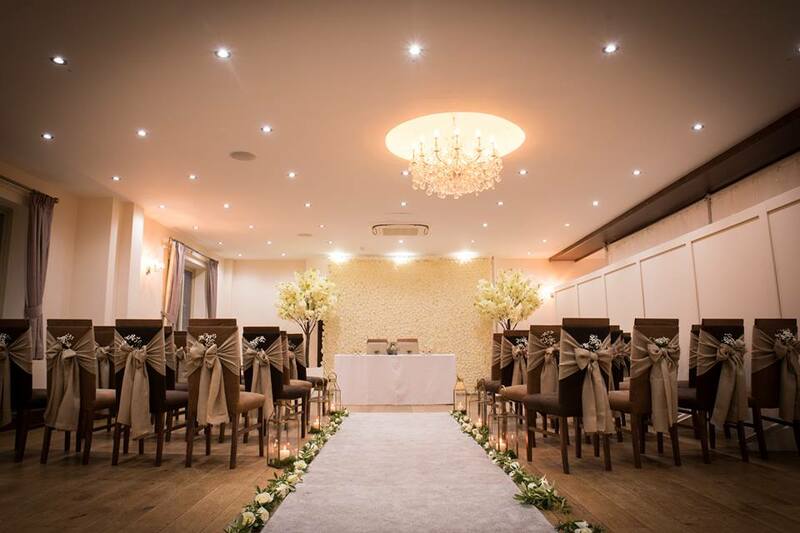 We can also supply mood lighting in many colours, this can help create a beautiful hue of colour to enhance any backdrop.